The Scarlett 18i20 – Focusrite’s latest generation 18-in, 20-out USB audio interface – can handle just about anything your band or studio can throw at it. The Scarlett 18i20 – Focusrite’s latest generation 18-in, 20-out USB audio interface – can handle just about anything your band or studio can throw at it. Beautiful and rack mountable, it gives you loads of I/O, pristine sound quality, separate stereo headphone mixes, extensive expansion options and round-trip latency as low as 2.74ms*, all in a 1U space. Scarlett 18i20 puts eight natural-sounding combination inputs at your disposal. Two on the front, where you need them most, with newly designed instrument inputs that can handle even the hottest signals. Plus six more on the back, so you can leave your mics, synths, keyboards, mixers and effects processors permanently plugged in and ready to go. All inputs feature pristine and natural sounding Scarlett preamps, backed by 30 years of design experience and found in the world’s top studios. These guarantee exceptional headroom, plenty of clean gain, low noise, minimal distortion and a dynamic range that is unrivaled in this class. Redesigned Scarlett 18i20’s instrument inputs have been given plenty of extra headroom, so you can handle extreme levels without any unwanted clipping or distortion. 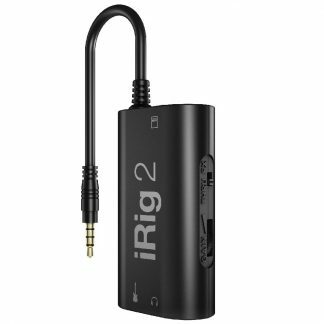 If you’re recording extra loud instruments, you can also engage the 10dB pad.